The legalization of Indian gaming in 1988 has had a massive impact on the Native American economy and society over the last 30 years. 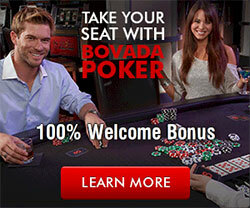 Hundreds of Indian casinos were built on reservation lands, which are sovereign lands and independent of state control. 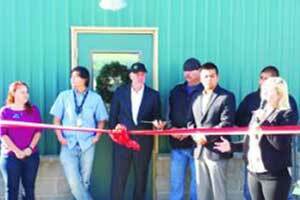 The legalization of cannabis may follow a similar path on tribal reservations. As state and federal laws change, many tribes see new business opportunities in growing, processing and selling on their land. Click a state on the map or use the list of states to get more information. Alaska, California, Colorado, Maine, Massachusetts, Michigan, Nevada, Oregon, Vermont, Washington plus the District of Columbia. The above ten states plus Arizona, Arkansas, Connecticut, Delaware, Florida, Hawaii, Illinois, Louisiana, Maryland, Minnesota, Missouri, Montana, New Hampshire, New Jersey, New Mexico, New York, North Dakota, Ohio, Oklahoma, Pennsylvania, Rhode Island, Utah and West Virginia. Alabama, Georgia, Iowa, Kansas, Kentucky, Mississippi, Missouri, North Carolina, South Carolina, Tennessee, Texas, Virginia, Wisconsin and Wyoming. Idaho, Nebraska and South Dakota. 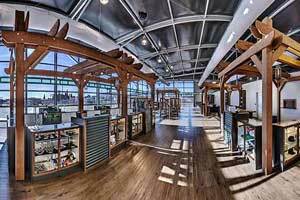 Recent changes in federal policies and state legalization of marijuana products have created new business opportunities for Native American Tribes. Some tribes in states that have fully legalized marijuana are growing, distributing and selling marijuana products on their reservations. 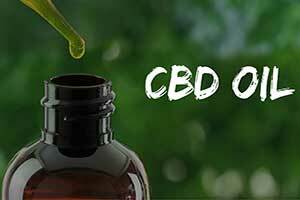 In states with legalized medical marijuana, some tribes are producing cannabidiol (CBD), the non-psychoactive component in cannabis used for pain, arthritis, anxiety, epilepsy, seizures and a growing number of other uses. Tribes fall under both federal and state regulations which may sometimes conflict. This is why many tribes are currently conducting extensive feasibility studies regarding their cannabis opportunities. 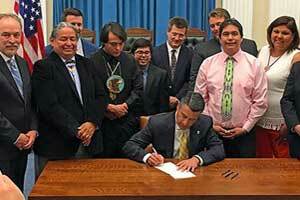 The United States government recognizes 568 tribes as sovereign nations and their lands as sovereign lands. 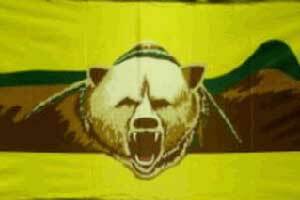 Of these tribes there are 333 living in 33 states and the remainder living in Alaska. In November 2012 Colorado and Washington voted to legalize the sale and possession of cannabis, which are violations the federal Controlled Substance Act (CSA). 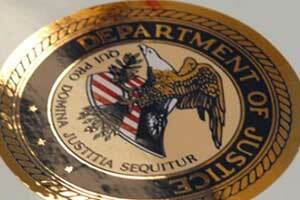 This prompted the U.S. Justice Department to issue a policy statement regarding enforcement guidelines for U.S. Attorneys in these states with legalized marijuana. The Justice Department policy, known as the Cole Memorandum, was published August 29, 2013 telling federal prosecutors and law enforcement to not obstruct state marijuana laws if the drug is regulated to insure key federal priorities. Federal enforcement priorities were distribution to minors, DUI, sales by gangs and cartels, possession or use on federal property, transfers to non-legalized states, drug trafficking, or violence. 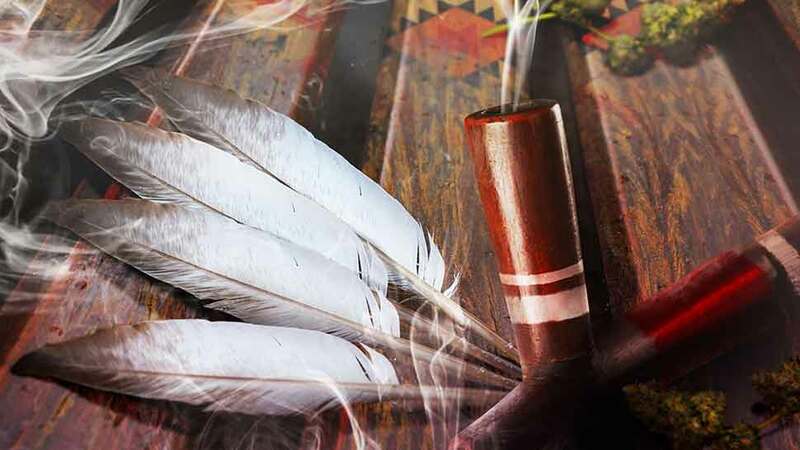 Several American Indian tribes were concerned about marijuana legalization and asked the Justice Department to clarify its position for marijuana on tribal lands. The DOJ followed with the Wilkinson Memo, "Policy Statement Regarding Marijuana Issues in Indian Country," dated October 28, 2014. It parallels the Cole Memo by defining and limiting the conditions for U.S. 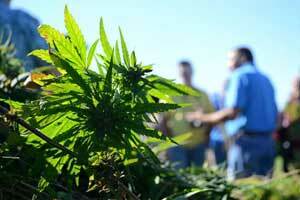 Attorneys to enforce federal marijuana laws on tribal lands. 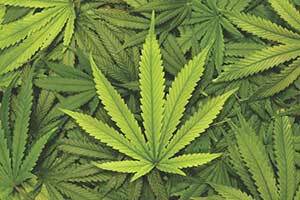 Tribes will not be prosecuted for growing, processing and selling marijuana inside states that have legalized the drug. This includes medical marijuana per the DOJ's 2009 Ogden Memo. There remains great uncertainty of enforcement on tribal lands in other states where the drug is illegal. 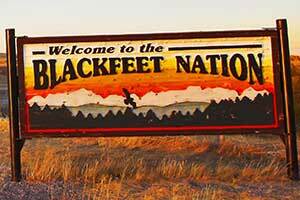 Several tribes are exploring these opportunities and legalities and waiting for further guidance from the federal government. The Cole Memorandum in 2013 set guidelines for non-enforcement of the the Controlled Substance Act (CSA) in states that legalize marijuana. The Wilkinson Memorandum 2014 gave similar guidelines for marijuana on American Indian reservations. The rescinded memoranda were department and not federal law passed by Congress and signed by the president. "Thirty states comprising more than two-thirds of the American people have legalized marijuana in some form. The Cole memo got it right and was foundational in guiding states' efforts to regulate the production and distribution of marijuana." "Colorado has created a comprehensive regulatory system committed to supporting the will of our voters. We constantly evaluate and seek to strengthen our approach to regulation and enforcement. Our focus will continue to be the public health and public safety of our citizens. We are expanding efforts to eliminate the black market and keep marijuana out of the hands of minors and criminals. Today's decision does not alter the strength of our resolve in those areas, nor does it change my constitutional responsibilities." 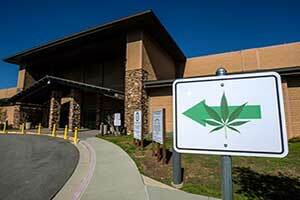 Will Tribes Continue to Sell Cannabis? The federal policy change has tribes seeking more DOJ information and guidance regarding their business future. 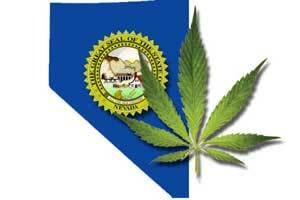 Tribal Cannabis Consulting works with Nevada tribes to develop their marijuana sales. Cassandra Dittus, co-founder and president of the group, said tribal businesses are in a "holding pattern." "We would hope that the tribal programs that are up and running in the state of Nevada would not be an enforcement priority for the Department of Justice's resources as the programs are very robustly regulated and not a threat or a danger to the community." 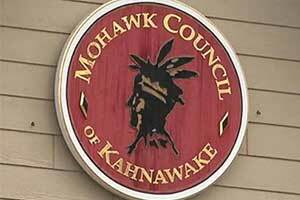 "The community desires this, the voters approved this and the tribal program is extremely regulated." 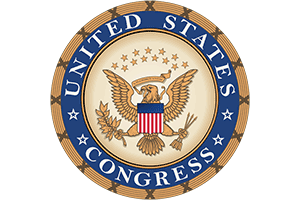 Two companion bills have been introduced in the U.S. Congress to legalized marijuana. One bill S. 420 was introduced in the Senate by Oregon Senator Ron Wyden, and the other bill H.R. 420 was introduced in the House by Oregon Rep. Earl Blumenauer. These bills titled "Marijuana Revenue and Regulation Act" would have the federal government legalize, regulate and tax cannabis. Special provisions areincluded so that Native American tribes would be protected from prosecution under federal cannabis laws, and all veterans would have rights to medical marijuana. 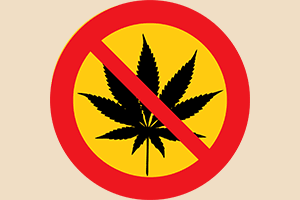 In a press release, Sen. Wyden wrote: "The federal prohibition of marijuana is wrong, plain and simple. Too many lives have been wasted, and too many economic opportunities have been missed. It's time Congress make the changes Oregonians and Americans across the country are demanding." Congress has passed a new an $867 billion farm bill which includes the federal legalization of the production, distribution and sales of hemp. 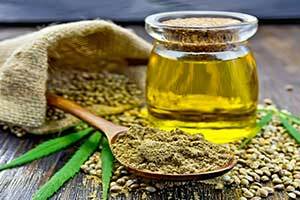 It is estimated the new hemp industry could reach $20 billion by 2022. Much of that revenue would come from cannabidiol, or CBD, which is a compound recognized its health benefits without the psychoactive THC found in marijuana. 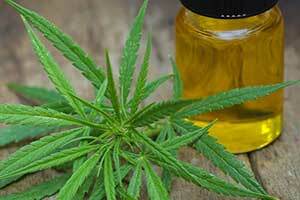 Hemp is now classified as an agricultural product. Previously it was regulated by the 1970 Controlled Substances Act and listed along with marijuana. Marijuana remains regulated as a controlled substance, however, hemp is now removed from the jurisdiction of that law and is now longer a controlled substance. 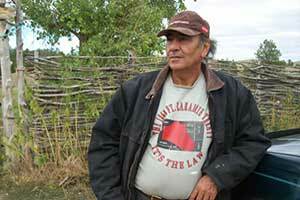 Many Native American tribes are considering the farming of hemp as a new source of income. It is being a new way to support the needs of challenges that many people face in a holistic approach. Among them are the Coliville, Meskwaki, Mandan, Menominee, Lakota, and others. 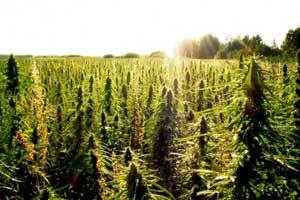 The hemp industry in the United States accounts for $700 million in annual revenue. It is being used for medicine, food, clothing, and fuel. Some new uses can replace cotton, plastic, and lumber. There are 10,000 known uses for the plant. Tribes are looking at the plant and the uses to help change in their communities. 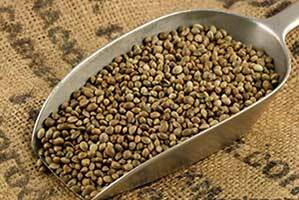 The tribes are beginning to speak publicly about their plans to farm hemp. Some are starting to meet with state lawmakers. 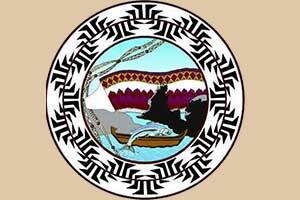 The Confederated Tribes of the Colville Reservation are developing industrial hemp plans. 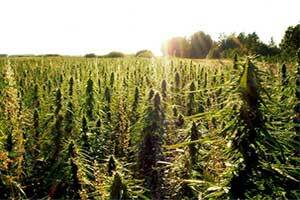 They have grown the largest amount of hemp plants, at 60 acres just this last year. 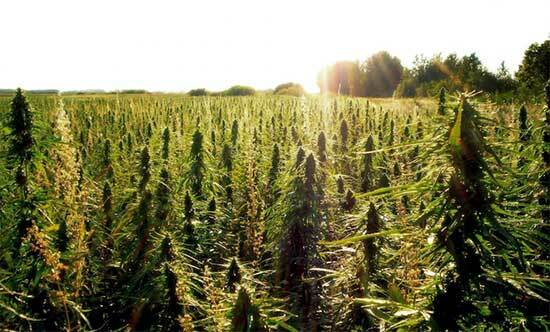 One benefit that the tribe would like to use the hemp industry for is to attract their members to stay on their land. Many times, the tribal children leave for college and do not return to their land. The hemp industry would be used as a way to keep skilled and educated people back to their tribal economy and help rebuild it. For many, the hemp industry is seen as way to assist with social change on the reservations. Not so much about the money. 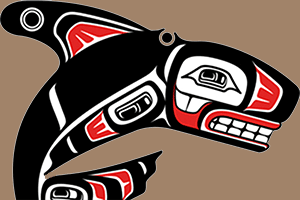 The Intertribal Hemp Association was formed for Native American communities to be educated about hemp. Also, to form tribal collaborations in the hemp industry. 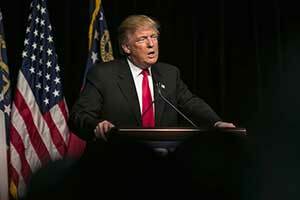 On Friday an announcement was made that President Donald Trump will continue to allow states with legalized marijuana laws to continue their operations. They may do so without prosecution from the Department of Justice. On January 04, 2018 U.S. Attorney General Jeff Sessions rescinded the Cole Memo that allowed states to determine their own laws towards marijuana. 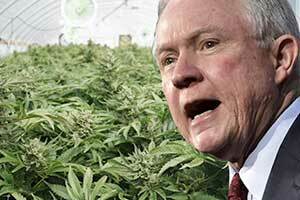 It has been wildly speculated that there would be lawsuits from the DOJ against the states that allow the growing, cultivating, selling, and consumption of marijuana. It is considered a Schedule I substance and is considered a violation of the federal law to have it. The president recently met with Sen. Cory Gardner (R-Colo.). Gardner promised to block all nominees for the Justice Department as long as the president continued to threaten the state legal marijuana industry in Colorado. 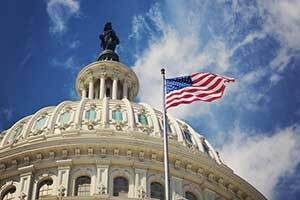 On Wednesday the Senator Gardner was informed by President Donald Trump that he would be supportive of legislation that would amend the federal law to approve cannabis laws at the state level. Currently there has not been any changes to the federal law. However, states with legalized cannabis laws will not face federal prosecution. A few of the nominees will be unfrozen by Gardner after the agreement was made between him and Trump. This will be done in good faith that the president will not change his mind. Before the phone call was made by President Trump, the Justice Department was not informed of the president's position. Every year a meeting is held in Washington DC for the country's governors to meet with the president and officials of the administration. One topic of conversation was how to successfully implement marijuana regulation in their state. This is despite the Attorney General Jeff Sessions redaction of the Cole Memo. 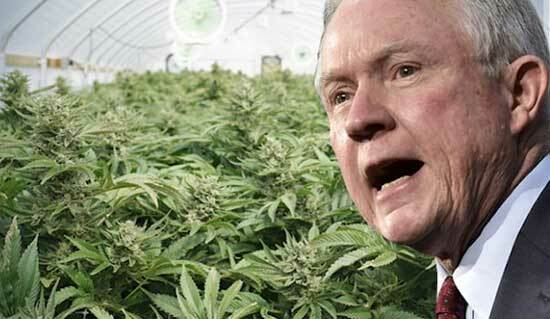 Private meetings to discuss marijuana policy with Sessions was denied. This brought frustration to governors that wanted to address the issue. Sessions only attended a few events. One was for the anti-opioid briefing. The other was for the Governor's Ball. It is believed that state recognized legal operations would be prosecuted. However, this possibility has not stopped the states from moving forward with the marijuana business. A campaign heavily focused on legalizing marijuana in Virginia may have been what helped elect Ralph Northam, the new state governor. 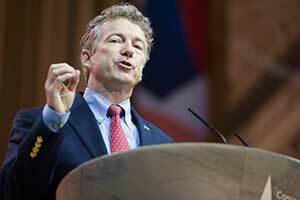 He wants the reclassification of marijuana to be approved by Congress. Northam is a physician and believes that marijuana has many benefits for medical use. 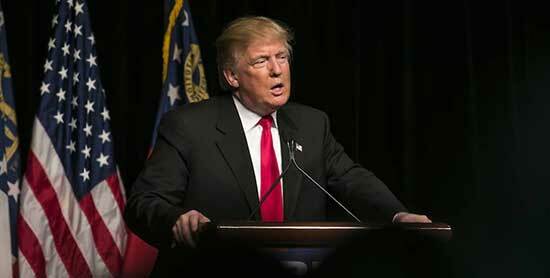 He also is pushing for more medical research to be conducted. However, since the drug has Schedule 1 narcotic listing, this makes it difficult to conduct research. 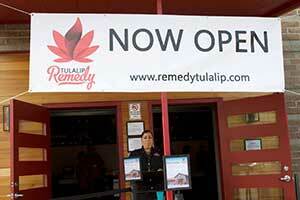 Medical marijuana dispensaries are being opened in more states. 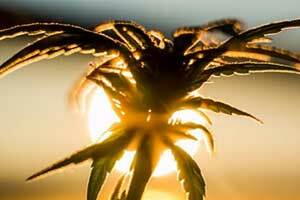 Recently Hawaii approved medical marijuana and will soon have dispensaries on all of the eight islands. In 2006 Rhode Island approved medical marijuana. 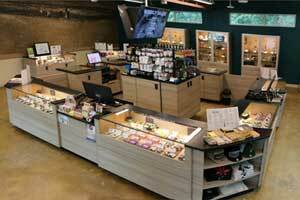 There are three dispensaries in the state. Currently there is a proposed measure that would allow up to nine dispensaries. 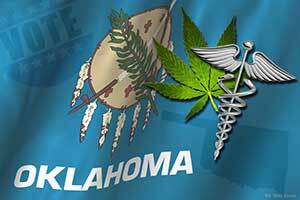 It is possible that Oklahoma could also legalize medical marijuana. 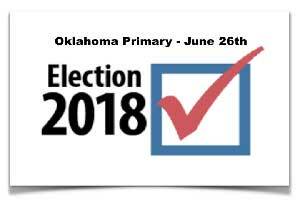 Voters will decide on the issue in June. 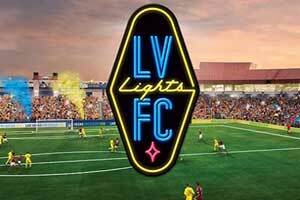 Utah will also be voting in the fall is they want to expand their medical marijuana laws. Recently the federal government agreed on a budget for federal operations to be funded for the next two years. In the budgeta a deal was renewed for the amendment that would protect medical marijuana. The Rohrabacher-Blumenauer amendment prevents the Department of Justice from spending money on enforcing the laws and prosecution on medical marijuana cases in states with legalized medical marijuana. The budget has not been finalized as of yet. On March 23 it will be submitted for another review. It is possible that the amendment could be removed at that time. The amount of money that each department of the government is assigned is determined by the federal budget. The amendment stops the Department of Justice from using any of the money towards enforcing anti cannabis laws in states that has voter approval for medical marijuana. The DOJ is not allowed to spend any budget money on the prosecution of individual people or businesses under this amendment. If the government succeeds in another shut down and the amendment does not receive final renewal approval, there is a chance that the Department of Justice could enforce the federal marijuana laws during the shut down. 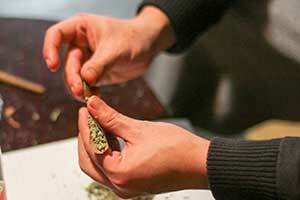 This could affect 29 stateas that have approved marijuana laws. The cannabis industry is very complex within the legal system. Some states have chosen to legalize both medical and recreational. Oher states have chosen to legalize just for medical use. Some states have voted to legalize use under certain conditions only. Since the legalization of marijuana as a federal law has been so controversial, the amendment was made to help the states that have chosen to legalize. On Thursday the Justice Department rescinded policies that allowed states to decide their own laws on cannabis for recreational and medical use. The policies were written under the Obama administration. A memo was issued by Attorney General Jeff Sessions stated that there would be a "return to the rule of law". Previously states were given permission under the Cole Memo to determine what cannabis laws they wanted to implement. The memo was written by former Deputy Attorney General James Cole. Under the Sessions memo, there will be a certain amount of discretion when it comes to investigation and prosecution. 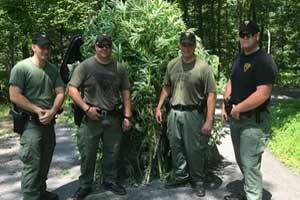 Marijuana was still listed as an illegal substance under federal law under the Obama policy. However, it lessened the criminal prosecution towards people caught with the drug that did not have connections with drug cartels or gangs. President Trump believes that federal law should be enforced in all states. The memo by Sessions was released the same week that California began allowing adults to buy recreational marijuana. Voter approval has been given for marijuana use in 8 states. Those are Colorado, Alaska, Washington, Oregon, California, Massachusetts, Nevada, and Maine. 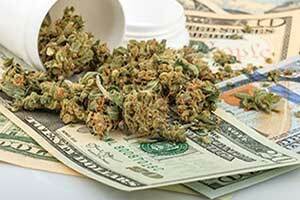 The sale of pot in these states has created a new way to generate revenue through sales tax. It is estimated that California could earn up to $5.1 billion in 2018 from this sales tax. Colorado has been using the sales tax for construction of schools, educational scholarships, and treatment centers for drug addictions. The ability to prosecute the cannabis industry has existed within the federal courts. The legalization of cannabis in different forms is supported by 60% of Americans. Medical use is currently available in 29 states. Congress has approved the medical of marijuana. However, that policy is set to expire this month. It is uncertain if Congress will approve it again. U.S. Governors ignoring Sessions marijuana enforcement February 27, 2018 - During the annual meeting of our nation's governors there were many discussions about implementing state marijuana regulations. Sec. Sessions did not attend. 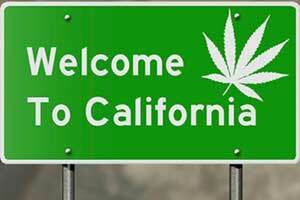 ... Read more Will California Tribes start own cannabis industry?